Tag Archive | "right to be forgotten"
Scientific research suggests that the act of forgetting memories fosters a healthy state of mind. The act of forgetting may be more difficult to achieve in a world where internet companies collect and store a broad range of information about their users’ lives and daily activities. Is it fair for individuals to ask everyone else to forget information that they do not want remembered? On May 13th, 2014 the Court of Justice of the European Union ordered Google to delete search results linking to a 1998 auction notice of a Spanish man’s repossessed home. Since the ruling went into effect, Google has received over 225,000 requests for the removal of links. This controversial ruling, labeled the “Right to be Forgotten,” puts into sharp focus the competing interests of global Internet companies and individual Internet users. The rule also raises a debate between the personal appeal in purging the Internet of undesirable information and the danger in creating a system that allows for censorship and the re-writing of history. The ruling by the Court of Justice has three major holdings. First, the European Union’s 1995 Data Protection Directive applies to search engines because they are controllers of personal data. Second, even though Google Spain’s data-processing servers are located in the United States, the Court of Justice can apply European Union rules to Google Spain because it is located in a European Union Member State and it sells advertising space within that jurisdiction. Third and most importantly, under certain circumstances individuals have the right to request that search engines remove links containing “inadequate, irrelevant or no longer relevant” personal information about them. The European Union is the most aggressive jurisdiction when it comes to protecting personal privacy rights. The “Right to be Forgotten” rule maintains Europe’s position as the champion of personal privacy. Other countries with more balanced privacy regulations are considering whether Internet forgetfulness could benefit their citizens. A Japanese man brought a case in a Tokyo Court because Google did not comply with a request to remove information relating to him from search results. 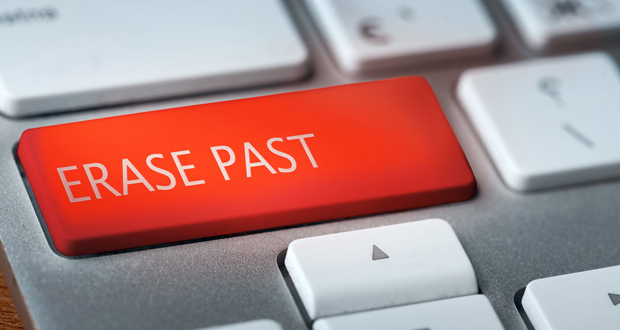 The Hong Kong Court of Appeals will hear a petition from Google on the “Right to be Forgotten” in early 2015. Privacy organizations in Asia are strongly advocating for the “Right to be Forgotten” to apply in Asian countries. Critics warn that establishing such a rule could undermine corporate and political transparency in a region with a history of powerful people that manipulate information flows. The ability of information technologies to collect and store endless amounts of individuals’ personal information raises legitimate concerns regarding surveillance and personal privacy. The “Right to be Forgotten” carries a powerful emotional appeal for many people that wish to leave their past behind. Despite the fact that forgetfulness may have its benefits, our memories of the past have a great deal to do with what we can learn in the future. When individuals request that Google “forgets” information undesirable to them, they re-write the collective story we share as a society. The processes the brain uses to facilitate information recall demonstrate the appropriate way to handle past information. Forgetting is not as easy as flipping a switch, ask anyone who has tried to forget an embarrassing moment from their youth. Instead, forgetting has more to do with the brain’s ability to accumulate enormous amounts of fresh information that crowd out old memories. In a world where every moment is stored forever, the brain teaches us that forgetting may be easier with more information, not less.